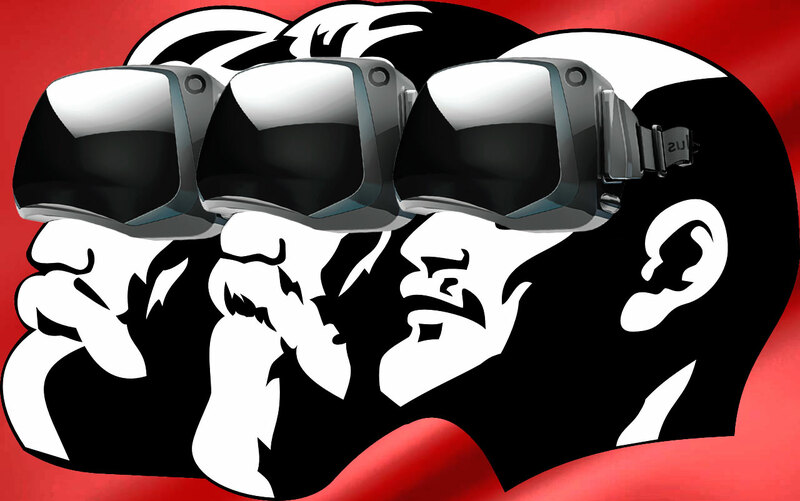 The October Revolution meets virtual reality. Photo edited by Kevin Rothrock. Next year marks the centennial of the Russian Revolution, and many around the world will certainly ponder its legacy and memory. The Russian Revolution, after all, was a world-historical event, and its commemoration belongs to more than Russia. Nevertheless, the Tsarist Empire was the locus of the Bolsheviks’ grand experiment, and their revolution defined Russia for the next seventy-odd years. But the USSR collapsed decades ago, and it's unclear how contemporary Russia will respond in 2017. At a time when Vladimir Putin's government favors smooth historical narratives depicting the Russian state as eternal, it's difficult to say how the Kremlin will apply a narratological suture over one of the most fractious moments in human history. And this is a conundrum for more than just state officials. As the centennial approaches, many Russians will try to come to grips with the revolution’s history and legacy. But how? How does one narrate the Russian Revolution? One attempt is the online project “1917: Free History,” which retells events in 1917 through daily posts of letters, diary entries, articles, poetry, videos, and images relating to roughly 1,500 key individuals during the period. Mikhail Zygar, Dozhd television's former chief editor and the author of “All the Kremlin's Men: Inside the Court of Vladimir Putin,” founded the project, recruiting more than 100 journalists, scholars, artists, and others. “1917: Free History” also has some impressive sponsors: the Internet search giant Yandex, Sberbank, the Tretyakov Gallery, the newspaper Kommersant, the Russian State Historical Museum, the State Archive of the Russian Federation, and the Russian State Archive of Literature and Art — just to name a few. Наша цель — популяризировать историю. Нам хочется, чтобы люди видели в ней не какую-то скучную дисциплину, совершенно оторванную от реальности и не имеющую к ним прямого отношения. Наоборот, мы хотим показать, что история — это и есть жизнь. Это такие же люди, как и мы. И история объясняет многое не только про то, что случилось, но и про нас самих. У каждого есть возможность понять, что он сталкивается с теми же проблемами и мыслями, с какими сталкивался человек, писавший в свой дневник сто лет назад. Our goal is to popularize history. We want people to see that history isn’t some boring subject completely divorced from reality and has no direct relation to them. On the contrary, we want to show that history is life. These people are just like us. And history says a lot not only about what happened, but also about ourselves. Everyone has to understand that he faces the same problems and ideas that confronted a person writing in his diary 100 years ago. 5 градусов мороза, из дому совсем не выходила. Приняла несчастную женщину, отца которой в чем-то обвиняют и он сидит в тюрьме. Она просила помочь. После завтрака встретилась с фрекен Крупенской. В 4 часа пополудни приехала милая моя Беби, одетая словно настоящая леди, выглядит такой счастливой. Обедали вдвоем с Сандро, поскольку все остальные были в театре. It’s 5 below and I won’t leave the house. I received a poor woman, whose father was convicted for something and is in jail. She asked for help. After breakfast we met with maiden Krupenskaya. At 4 o'clock in the afternoon my dear Baby [her daughter Grand Duchess Olga Aleksandrovna] came dressed like a real lady. She looks so happy. We dined together with Sandro [Grand Duke Alexandr Mikhailovich, Nicholas II’s brother-in-law] because everyone else was at the theater. На этом совещании было очень мало народу, были только по особым приглашениям. Среди присутствующих были кн. Львов, Кишкин, кажется, Маклаков, я. На этом совещании после заявления кн. Львова о том, что все сообщаемое им должно быть сохранено в тайне, он довольно подробно рассказал о настроениях Петрограда. 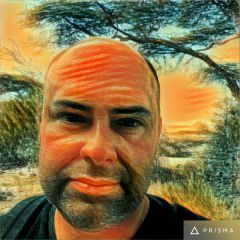 По его словам, в ближайшем будущем можно ожидать дворцового переворота. В этом замысле участвуют и военные круги, и великие князья, и политические деятели. Нужно быть готовым к последствиям. В очень туманных выражениях было указано, что предполагается, по-видимому, устранить Николая II и Александру Федоровну. Торопливая речь кн. Львова была неясна. Уточнять ее было неловко. Тем более что казалось, что сам Львов не знает ничего точно, ибо сам лишь поставлен в известность о готовящемся. There were very few people by special invitation at this meeting. Among those present were Princes Lvov, Kishkin, Maklakov, and myself. Following a statement by Prince Lvov where he told everyone must keep secret, he talked about the mood in Petrograd in much detail. According to him, we can expect a palace coup in the near future. Those in military circles, and grand princes and politicians, are involved in this plot. We must be prepared for the consequences. In very vague terms, he stated the apparent intention was to remove Nicholas II and Alexandra Feodorovna. Prince Lvov’s speech was unclear. Making sense of it was difficult. Moreover, he seemed to know nothing specific because he was only made aware of its preparation. These entries, which range from the mundane to the conspiratorial, demonstrate the aloofness but also the dread of key players at the time. They also provide a fascinating daily snapshot of what we all know would come in February 1917 (the abdication of Nicholas II, and the establishment of dual power between the Provisional Government and the Petrograd Soviet). The site also has some innovative and important resources like a “Guide to the Romanovs,” which provides a genealogy of the family at the turn of the century. Perhaps most interesting and helpful is the section “Who Relates to Whom,” where clicking on a personage shows a network of whom the individual loved, hated, disliked, befriended, rivaled, and married. It’s a wonderful way to chart the various personal intrigues of the royal family and its circle. Despite the vast array of voices, however, there is a great silence in all these entries: the voices of lower-class people who contributed, experienced, and were politically activated in the revolutionary process. In this sense, the site’s editors— intellectuals, artists, and elites themselves — reflect the experience of their own forebears. This is unfortunate. As historical research over the past 25 years has shown, Russia's archives contain a wealth of texts that convey the voices of the “people” in the forms of letters, diaries, journalism, art, and poetry. This silence is perhaps the greatest irony of the website’s attempt to create a memory of the revolution. Ignoring the voices and historical agency of ordinary people is exactly what doomed many Russian elites in 1917. A century later, that decimated class’ descendants are making the same mistake in virtual reality, despite some good intentions.